Family Time in South Africa! | Luxury Safari Experts | African Safari Co.
Family Time in South Africa! Spring has sprung in South Africa, but not everything has turned green yet as we have not had our first rains. 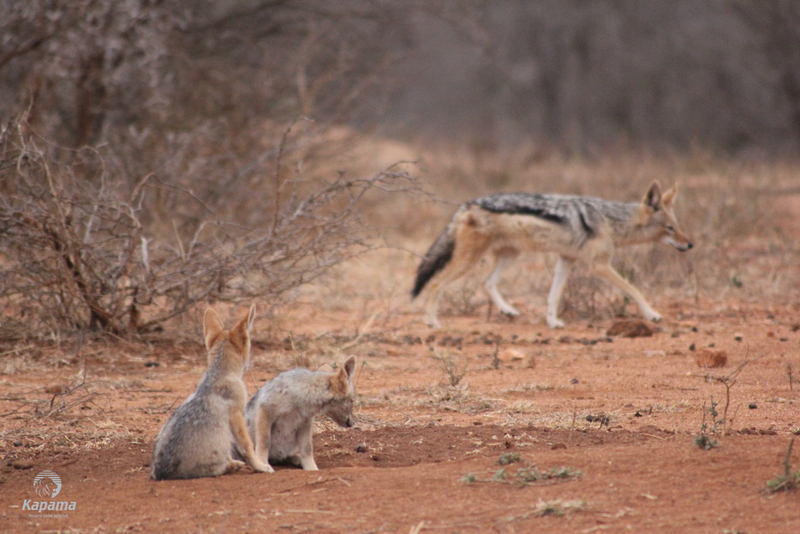 It is bone dry with only a few trees flowering, but that doesn’t stop mother nature, especially the Black-backed Jackals. We left Buffalo Camp and made our way out on our normal safari. We were driving past some open plains when I noticed something small out of the corner of my eye. 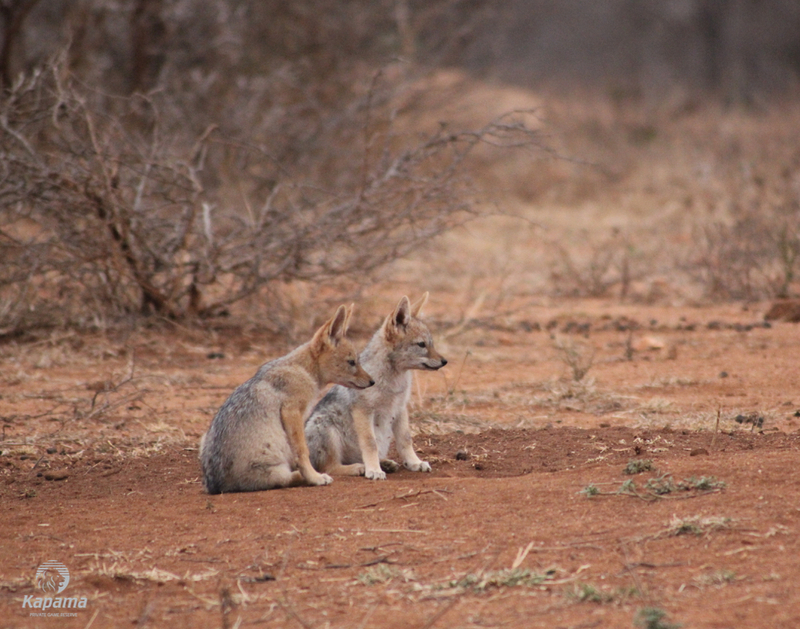 I stopped to get out my binoculars, and sure enough, I spotted three little black-backed jackal puppies with just their heads peeking out of a very small termite mound. 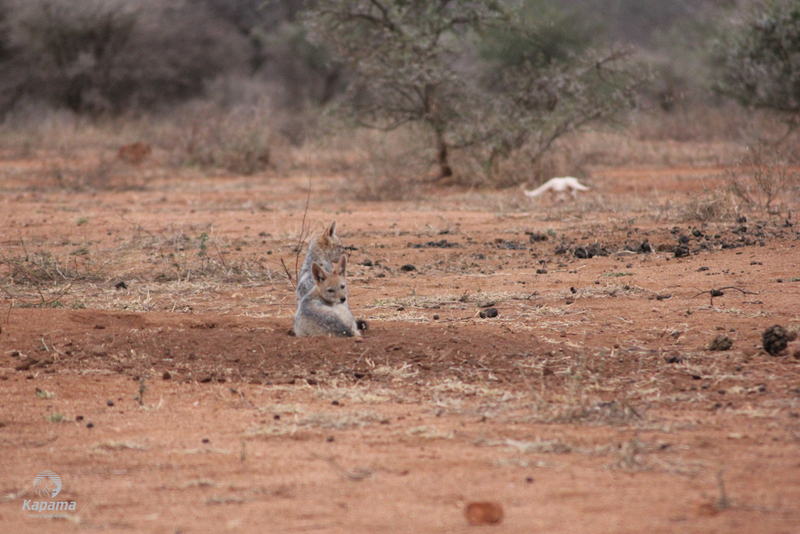 In fact, there was no mound left on the top at all, but the tunnels and chambers underground would have still been big enough for a few pups to hide in. The parents would have dug it out to make sure their offspring remained safe and sound.